... for our gardener ! ... these guys need to be jailed. That is, contained in herb planters or other garden containers. This may not be in the book but when was the last time our gardener opened the book ? 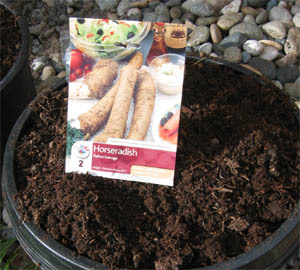 Grow horseradish in the ground ..
... growing down 9 to 15 feet ! .... will help control it's invasive behaviour. 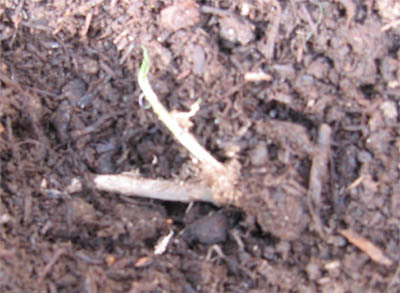 ... the process is the same except for the preparation of the garden soil. 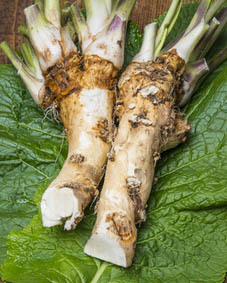 ... process only the largest white roots that are free of horseradish crown and roots. Growing Horseradish ... Plant how much ? 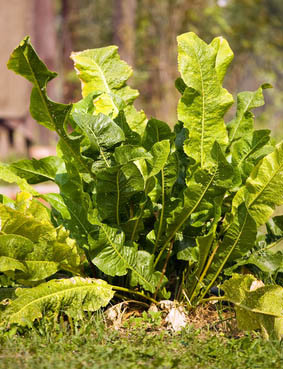 Two plants are more than enough for a family that likes horseradish. When growing vegetables we know what a serving portion is. What does the national food guide say a full portion of this vegetable is ? ... Mulching the plants will help retain moisture during the heat of summer. Digging the root is best after the first good fall frost. ... NOT in the compost bin but in the garden waste going for city composting. ... you only have to plant these culinary herbs once ! 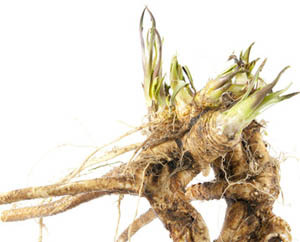 Is horseradish a herb ? ... how perennial this hot guy will be. 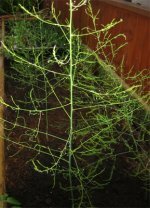 More articles about Growing Herbs that may interest you.